Lens There are 6 products. 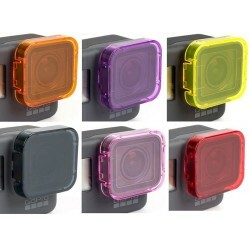 For GoPro Hero 5 High quality with durable scratch resistant plastic. Quantity: 6pcs. Can be used with Gopro Hero 5 Frame, but can not work with waterproof case.